A crusher plant in operation in Triyuga Municipality-7 in this file photo. SIRAHA, May 8: Several unnamed and unregistered crusher industries are operating in the Chure range in Siraha. The office of the Cottage and Small Industries of Udayapur, with whom such industries are supposed to be registered, is unaware of their existence. “They are not registered with us and as such we cannot take action against them,” said Shambhu Prasad Sah, chief of the office. “We cannot monitor, take control of or take any action against industries that are not registered with us,” he added. District Forest Officer, Bishwo Prasad Bhandari, claimed that he is unaware of unregistered crusher industries operating in the district. “There are few such industries operating close to the forest area and river, however their legal status remains unknown to us,” he said. Bhandari claims that such industries are to be taken care by the office of the cottage and small industries. “The permission is given by the office and then if it is a crusher industry, we are sent letter to outline the jungle area they can use. So we are unaware if such unregistered industries are operating,” he said. Bhandari further stated that many roads are under construction. Optional highways are being built. So in this context, some industries might be working. “These are government projects. Constructions are underway. So, excavation of mines is natural. Just that every step must be legal,” he stated. He said that his office provides information on the Chure and other forest areas, if requested. Chief District Officer of Siraha, Bishwo Bahadur Karki, informed that it is not necessary for builders to get their crusher industries registered if they are working for optional highways. “Such builders have freedom to operate their crusher industries as per the need of the work. They don’t have to register it. These crusher industries here have not been operating illegally,” he stated. Shiva Prasad Humagain, local development officer at the District Cooperation Committee, Gaighat claimed that certain areas in the district are designated for excavation purpose. As per the need of road construction, builders can collect gravels and sand from those areas, he said. “They cannot operate beyond the designated areas, but are free excavate stones and sands from the designated areas,” Humagain said. According to Humagain, his office has permitted builders to excavate resources from Kagali River. “But we are not aware of the legal status of all crushers operating on the river bank,” he said. As per the provision, crusher industries cannot operate without meeting certain conditions. 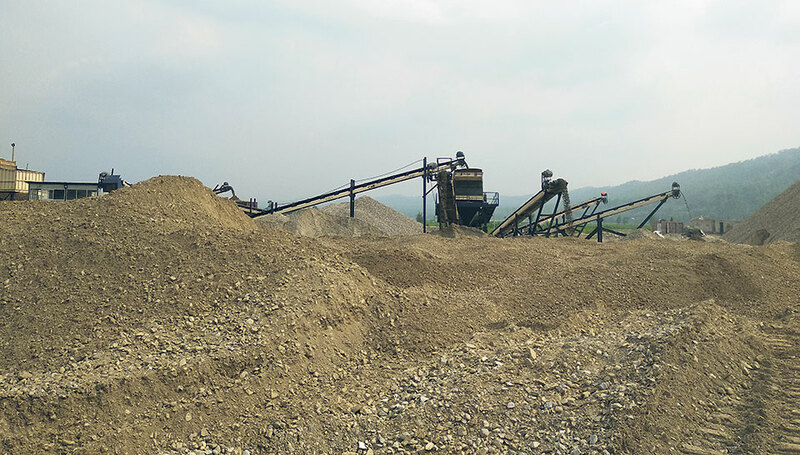 One of the mandatory conditions for operating a crusher plant is to conduct a thorough Environmental Impact Assessment. Permission for operating the plant is provided by the concerned authorities on the basis of this report. Similarly, such industries cannot be established near human settlements or near cultural and heritage sites. However, when unregistered crusher plants are operated, such conditions are largely violated. Even though locals have opposed rampant destruction of Chure, they had not been very aggressive about it until recently. Last month, they not only met concerned officials over the issue, but forced away crusher industry owners from their areas. “Triyuga and Kali rivers are nearby. We have seen them taking out sand and stone day and night. We depend on them literally for irrigating our farms, drinking water and literally everything else. But those people were operating crusher plants illegally. So, we then took action against them,” said Shyam Budhathoki, a farmer from Toribari village. “After even the government officials or police did not intervene or listened to repeated calls for action, we all went to the riverside and forced the crusher plans to close,” he added. Meanwhile, CDO and LDO in the district defended themselves stating that Dharan-Chatara-Gaighat-Katari-Sindhuli-Hetauda road sections are under construction necessitating excavation of sand and stones.